Everyone’s furnaces have been in full swing for awhile now and the dog days of winter are definitely upon us. With your house closed up keeping the cold winter weather out, your furnace is heating and recirculating dry air inside your home. Here in Salt Lake having a humidifier is essential to the comfort for you and your home. Living without a humidifier does not take long to feel the effects When the air is dry hard wood floors and wood furniture tend to split or crack. 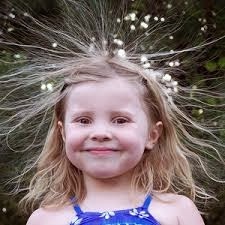 Dryness leaves you feeling itchy and tends to irritate the skin, static electricity starts to build and when you least expect it you get zapped. Worst of all the dry air can make you sick. Dry air absorbs moisture from where ever it can including the human body. Drying out mucous membranes and leaving the human body susceptible to repertory infection and sinus pains. Today there are a couple of whole house humidifiers available for your home. Fresh water (evaporation) and steam. Recently steam humidifiers have become very popular. Although effective, steam humidifiers do cost a lot more to operate. Fresh water humidifiers have a water panel that needs to be replaced annually. They are very effective and cheap to operate. If you have been suffering though this winter season because of how dry it is in your home. Give us a call. We will be happy to come out and find out what size and type of humidifier you need.